A Christadelphian publication containing ecclesial news, expositions, practical advice and exhortations particularly relevant to brethren and sisters in Australian ecclesias. 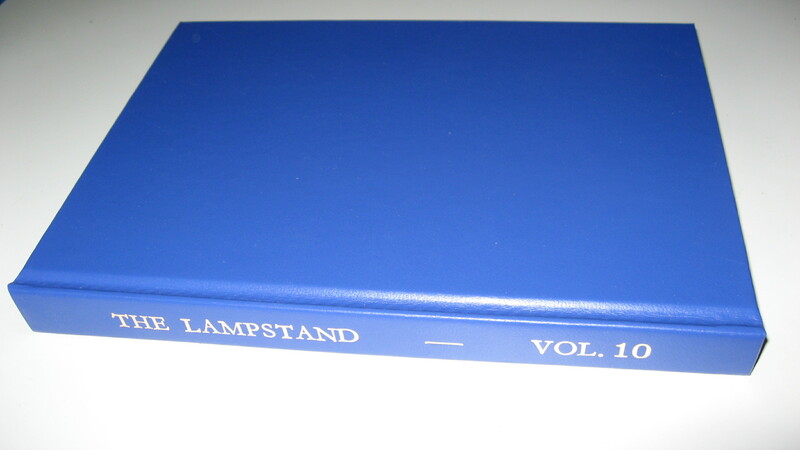 Published in Adelaide Australia by The Lampstand Magazine Inc.
With a blue hardback cover and gold lettering on the spine, this book contains the six issues for volume 10. The content of each of the six issues can be viewed in the listing of individual issues. Individual issues and other bound volumes can be ordered on this website. 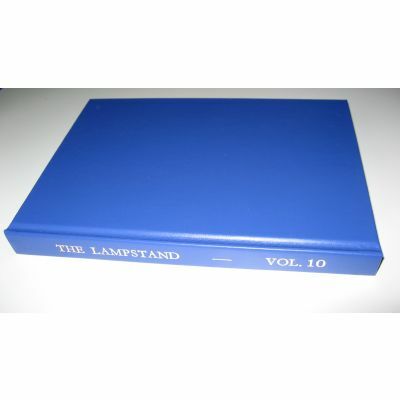 Note some issues and bound volumes are no longer available, consequently they are not shown on the website.